I sat down with Republican alderman candidate Katie Nash recently to discuss her campaign. 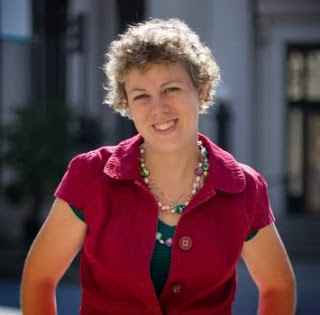 Katie finished second in the Republican primary and interestingly, received 145 less votes than alderman candidate Derek Shackelford, who finished sixth in the Democratic primary and did not advance to the general election. Katie told me it was a year ago she decided to run for alderman and that she decided to run because she wanted to see a nonpartisan city election because she feels issues at the local level are nonpartisan. She told me she grew up in Baltimore County and graduated from Hood College, where she also received her MBA in 2008. For, the past three years, she has worked for a defense contractor, located in Frederick, as a program manager. The morning I interviewed Katie, she had spent overnight in the streets so she could see what it was like for the homeless. She told me she spent most of her time either along Carroll Creek downtown, N. Market Street or Baker Park. Although, she did not really see many homeless, she said it was cold outside overnight and mentioned going to the bathroom was an issue due to no availability of public restrooms. She walked up to the Whitaker campus at Hood College to use the facilities. While, she acknowledged she did not know where the homeless were, she believes the city should fund a year round shelter for the homeless. Katie also wants the city to take an intelligent look at how they are spending money and wants a focus on crime. One example she was concerned about was the city purchase of the Hargett farm and worried that these types of expenditures would lead to a tax increase for city taxpayers. She also told me she does not support the continued funding of the city owned Clustered Spires golf course. In regard to the Harry Grove Stadium lease, Katie said she was okay with it and supported looking at further revenue from advertising at the stadium. She supported what the city has done to date to develop a plan to combat the underfunded city pension and other post employment benefits programs. Katie added she had wished the city would have moved faster on this issue. In regard to overall growth issues, Katie said traffic was the biggest issue with voters she had spoken to. She believes more infrastructure is needed for planned development, calling the traffic congestion surrounding Wegmans at 5 PM a nightmare. A look at how to finance infrastructure at the front end is needed by the city and Katie supports the creation of a public/private infrastructure bank to handle this. Overall, Katie believes the city should do a better job of informing the public of planning and zoning actions. When I asked her what she felt about the city Neighborhood Advisory Councils (NACs), Katie said the candidate forums were helpful. She added she saw their role as a combination neighborhood watch, home owner association and community liaison with the city. She also felt they could be used in a town hall forum manner to discuss various city issues of importance. Another issue Katie has heard from voters about is their desire to have the city return to bulk trash pickup, which she supports. She believes the city should have also done a better job at communicating to city residents their move to once a week trash pickup also coincided with an increase in recycling. City registered voters will choose their mayor and five member board of alderman on November 5. Make your donation to Frederick Politics today by clicking on a Donation Button in the right hand margin of page - Thank You! Dan Cowell, who finished fifth in The City of Frederick Republican alderman primary, told me his moving on to the general election was bittersweet to him. His friend and fellow Republican alderman candidate; Hayden Duke had lost in the primary. Dan said he and Hayden had helped found the Western Maryland Young Republican Group and had become close friends. I remarked this was the first time I had seen two candidates using the same campaign literature. When they both entered the race for alderman, Dan said they decided to campaign together as a team. They figured they could reach more voters this way and developed handouts that promoted each candidate. Interestingly, Dan said before he could file for office, he went through a rigorous ethics review to make sure there was no conflict with his employer JP Morgan Chase bank or the city’s ethics guidelines. The solution to any potential conflicts is that he would need to recluse himself from any vote that may have an interest to his employer. Dan informed me he wants fiscal accountability in the city and believes city taxes should be comparable to county taxes. He did not feel the services provided by the city were that much more than the county. In regard to the debt with the city Pension and other Post Employment Benefits (OPEB) programs, Dan wants more contributions by employees on health care and retirement, with the city contributing less on pension. When I asked him about the city’s current 20 year debt reduction plan, Dan said he would like this moved up to 5 years. He added at this point the city can’t afford an aquatic center or solar powered energy projects and needs to be focused on paying down the debt, citing his concern of hearing about cities who have declared bankruptcy. Dan also said public safety was important to him and he was concerned with the homeless, vagrants, and nuisance crimes along Carroll Creek that detract from families visiting and shopping there. He also noted the higher incidence of crime in the Key Parkway/Hillcrest area and would like to see a police substation set up in the area to create a presence and for the police to be closer to the problem. Overall, he wants to see an increase in foot patrols. Increasing the voice of business owners is also important to Cowell. He would like to see a business committee created with a liaison from the City board of alderman, so they could have a mechanism to discuss the problems they face. Dan says he favors a downtown hotel/conference center, but does not want to use city tax dollars to build it. However, he does support the city building a parking deck to support a downtown hotel because he felt the city needed new parking. When it came to the low voter turnout in the city elections, Dan did not believe open primaries were necessarily a solution. After, hearing different sides to the benefit of nonpartisan elections, he said he doesn’t have a position at this point. 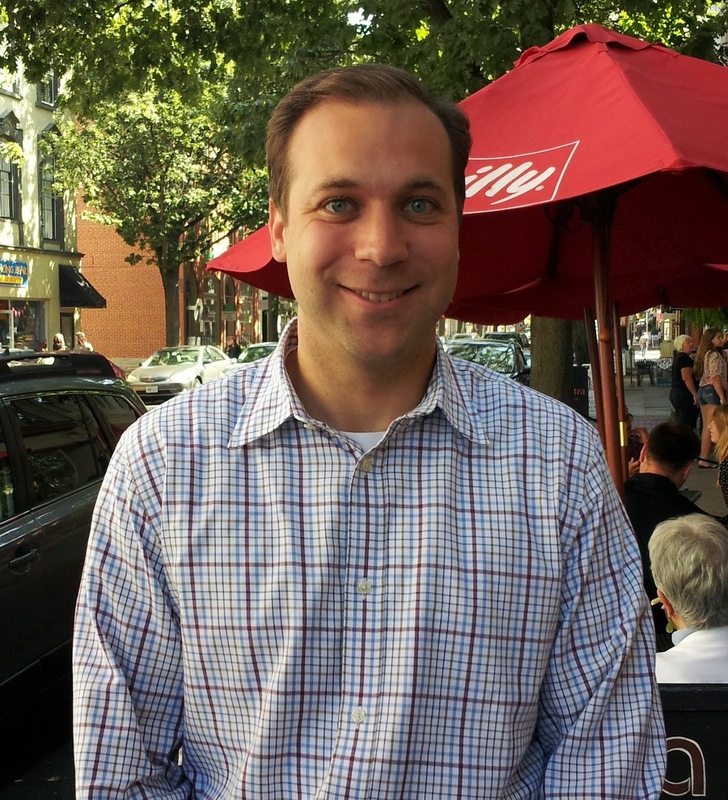 Dan added he was onboard with the development of Phase II of Carroll Creek and the completion of Monocacy Boulevard, providing the financial resources were available. Dan concluded with telling me he and his wife Amy, who is an occupational therapist, have a nine month old son Grant and he loves the city. He reiterated the city needs to fix the debt. Registered voters in the City of Frederick will determine their mayor and five member board of alderman on November 5. I appreciate the financial contributions many of you have made and it is through your generous donations I have been able to continue to publish political news and commentary. Donations of $25, $50, $100 or more are appreciated and can be made easily by clicking on a donation button located in the right hand margin. Your pay pal account and most major credit cards are accepted. Since, my return to Frederick, Maryland after an extended west coast trip, I have been bringing you timely news and thoughtful commentary on local as well as national issues. 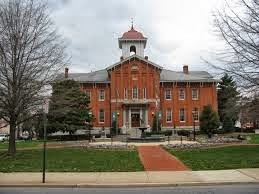 I broke the news that former Frederick Board of County Commissioners Jan Gardner had formed a candidate committee and was seriously moving forward toward filing for the new county executive position next year. This filing sets up the possibility of what promises to be a bitter contest between present Republican Frederick Board of County Commissioners Blaine Young and Democrat Jan Gardner. When local activist Val Dale brought to my attention the proposed sale of the Citizens Care and Rehabilitation Center and Montevue Assisted Care facilities, I penned commentary that was presented as testimony to the Maryland Board of Public Works, who voted to delay approval of the sale, pending the outcome of pending litigation. With this being the year of The City of Frederick election, I have interviewed candidates for mayor and alderman in the City of Frederick and published their positions on the issues for you to read. With enough financial contributions from you, I plan to videotape a roundtable discussion between the three mayoral candidates, so you can see them responding in a similar manner you do when you are discussing politics with your friends and family around the kitchen table. I would plan to have this video online at least two weeks prior to the election. In the city election, I was the first to report on loopholes being used by candidates to get around the financial limits an individual/entity could contribute. My disclosure of Galen Clagett’s campaign for mayor receiving $30,000 from entities associated with two people, has led to a move to amend the city campaign contribution law. Not satisfied with waiting until a law could be amended to apply to future elections, I asked the city mayoral and alderman candidates to agree to a pledge to abide by the “spirit of the law”, not just the letter of the law. All of the candidates responded to the pledge and all eyes will now be on future financial reports filed by city candidate campaigns. Your donations are what enable me to continue to bring timely political news and commentary to you. Please consider making a donation today of $25, $50, $100 or more. Your contributions are appreciated. Congress will meet over the weekend to try to iron a deal on a spending bill to keep the government open past Monday, Sept. 30. 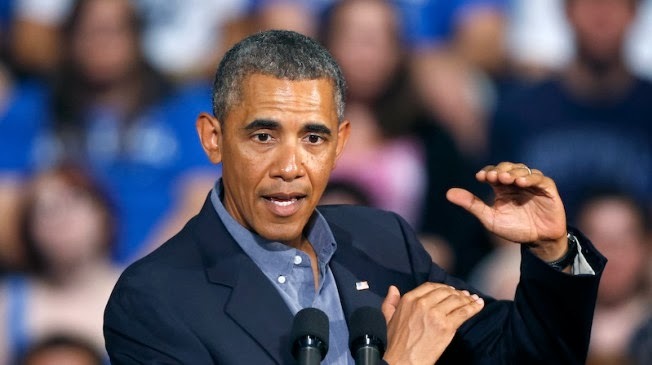 The Republican House members insist that major deficit-reduction provisions accompany an increase in the national debt limit; while Obama and Democrats want Congress to lift the borrowing authority without policy strings attached. House GOP Conference Chairwoman Cathy McMorris Rodgers said in the weekly radio address that "the president is now demanding that we increase the debt limit without engaging in any kind of bipartisan discussions about addressing our spending problem." In a press release, the Fraternal Order of Police, Francis Scott key Lodge #91 issued their endorsements for aldermen in The City of Frederick election. Earning their endorsement were four Democratic aldermen candidates; Josh Bokee, John Daniels, Michael O'Connor and Kelly Russell. The press release stated "After consideration of all the current candidates, FOP Lodge 91 has agreed the below candidates are concerned about the public safety in the City of Frederick. The endorsed candidates believe police services are essential services of government. They understand the men and women of the Frederick Police Department come to work willing to sacrifice their lives for the protection of the citizens of the City. This group of candidates have shown a willingness to ensure the public safety needs of the citizens in City of Frederick are met." In a telephone interview, FOP president Charles Snyder informed me a ballot was sent out to their membership, that included a recommendation of these four alderman candidates by the executive board. Mr. Snyder added a two-thirds vote by those who cast a ballot is needed for the endorsement. When I asked if they were intending to endorse a mayoral candidate, Charles told me they were holding a mayoral candidate forum next Tuesday evening. Following, the forum they will decide if they were going to send out ballots to members to endorse a mayoral candidate. Democratic alderman candidate Josh Bokee told me "I'm honored to have received the endorsement of FOP Lodge #91. Neighborhood safety is a top priority of mine and I appreciate the support of the men and women who strive to protect our residents everyday." City alderman Michael O'Connor sent me an email saying "I am pleased and honored to receive the endorsement of the FOP. Consistently the residents I talk to ask about public safety and encourage support for the men and women of the department, under the leadership of Chief Tom Ledwell. We must continue to provide the resources necessary to keep Frederick a safe and desirable place to live, and I look forward to working with the Frederick Police Department, and my elected colleagues, on achieving our community's policing goals." The City of Frederick general election will be held November 5 where voters will choose their mayor and five member board of alderman. Alderman Kelly Russell and alderman candidate John Daniels had not responded to messages from me at the time of publication. 5:45 PM Update: Alderman Kelly Russell had been attending a wake and upon returning home and hearing the news sent me an email saying "Receiving the endorsement of FOP Lodge #91 is a real honor and privilege. It is not an action taken lightly by the membership. These women and men are devoted to providing exceptional service to our residents, and are willing to put their lives on the line every day to ensure our safety. I am grateful for their daily sacrifices, and for their show of support." Update: Alderman candidate John Daniels said "I am honored to receive the endorsement of the FOP Lodge #91. These men and women who make up the Frederick Police Department serve to protect the residents of and visitors to our city, and truly deserve the support of the elected leaders. Thank you FOP." Senate To Vote on Funding Bill, Send back to House - The Senate will vote Friday on legislation to keep the government funded, setting up a weekend showdown with the House and tough choices for Speaker John Boehner (R-Ohio). Senate Majority Leader Harry Reid (D-Nev.) has scheduled a series of four votes beginning at 12:30 p.m., one of which will strip language defunding ObamaCare from the stopgap spending measure. Boehner will have to decide how to respond knowing any substantive changes to the Senate bill heightens the likelihood of a government shutdown. TheHill.com has more here. DCCC Targets GOP Congresman over Manufactured Government Shutdown - The Democratic Congressional Campaign Committee (DCCC) is sending out attack emails targeting more than five dozen House Republicans for creating a "manufactured crisis" by voting for legislation that funds the government only if Obamacare is defunded. The emails, which the House Democrats' campaign arm is sending out Thursday, are something of a counter to the GOP's attempts to label a vote against the continuing resolution legislation as essentially a vote to shutdown the government. TPM.com has more here. U.N. Five Big Powers Reach Resolution on Syrian Resolution - NEW YORK — The United Nations’ five big powers reached agreement Thursday on a legally binding U.N. Security Council resolution that would require Syria to dismantle its once-secret chemical weapons program or face the threat of unspecified measures, according to senior U.S. and Russian officials. The deal reached by Britain, France, the United States, Russia and China followed several days of high-level talks in New York. The talks culminated Thursday afternoon with a face-to-face meeting between Secretary of State John F. Kerry and Russian Foreign Minister Sergei Lavrov. The Washington Post has more here. Iran-U.S. 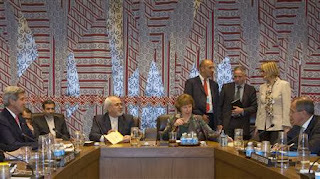 Hold High Level Talks - Iran and the United States held their highest-level substantive talks in a generation on Thursday, saying the tone was positive but sounding cautious about resolving the long-running standoff over Iran's nuclear program. U.S. Secretary of State John Kerry and Iranian Foreign Minister Mohammad Javad Zarif met after Zarif held wider talks with the United States and other major powers to address Western suspicions that Iran may be trying to develop atomic weapons. Reuters.com has more here. Wendy Davis to Announce Run for Governor - The Texas state senator who gained national attention for a filibuster against statewide abortion restrictions is planning to run for governor in 2014. 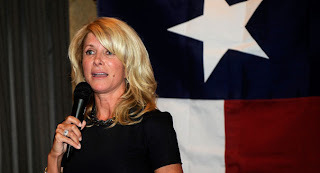 Politico and the Associated Press first reported Thursday that Democrat Wendy Davis has told influential party members that she plans to announce the run next week. She will make the official announcement on October 3 in Haltom City, Texas, at the venue where she received her high school diploma. NBC News has more here. 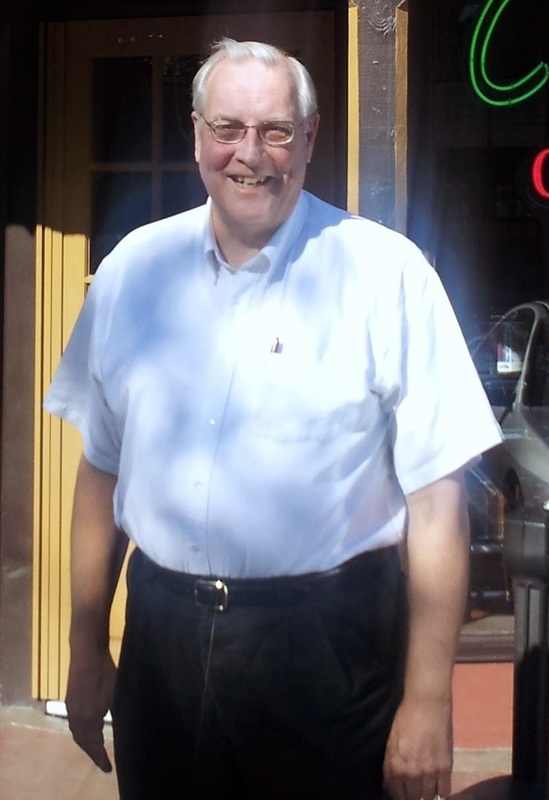 Alan Imhoff likens himself as the unofficial ambassador of The City of Frederick. He told me in an interview, that over the last 13 years, he has represented the city officially and unofficially across the state. Alan, said the city is the envy of many with its unique blend of historic and new. He added it is a great story to tell because the city is a great place to work and live. I've known Alan for over sixteen years and he has always been involved in local politics and community issues. It seems when city elections comes around, he is often found running for office. A Republican who served one term as alderman, during the Jeff Holtzinger administration, he wants to return to city hall to contribute to future strategic planning that he believes is necessary for the city. He came in third in the Republican primary and acknowledged the Democrats have an overall stronger ticket. However, he believes a Republican or two will be elected as alderman and hopes to be one of them because there is more he wishes to accomplish. Alan cited the rank and review process initiated under the Holtzinger administration for annexations as one process he was proud to have helped institute. However, he pointed out the annexations that have taken place during the current Republican Randy McClement administration did not include any commercial development. Alan believes residential/mixed used zoning should be balanced with commercial. One important area Imhoff would like to see the city do is for the mayor and board develop a strategic plan that will help them prioritize capitol works projects to handle planned development. Similar to the rank and review process he helped initiate for annexations, he believes there is need to develop a process to determine city funding for improvements. This would help the city in improving the overall quality of life for its residents by balancing new development with redevelopment needs, such as the “golden mile”. He also wants city officials to “get out of Frederick” and see what other municipalities are doing around the country. Alan spoke enthusiastically about the downtown mall in Charlottesville, Virginia where a pedestrian mall has many shops and restaurants located in the historic buildings on and around old Main Street Charlottesville. When I asked him how he felt about the city supporting the building of a downtown hotel/conference center, Alan said he felt it was premature. He added he did not want the city building a parking deck just for them. Alan also expressed concern with how Phase II of the Carroll Creek project would be developed, pointing out that it needed to generate foot traffic. He had noticed the condominiums that were built on Phase I had not contributed to foot traffic along the creek. The city debt to the Other Post Employment Benefits Program (OPEB) and the pension is another area Alan wants the city to focus on. He would like the new mayor and board to review all existing contracts with employees. A total set amount of benefit dollars per employee is one way Alan has seen work effectively in the private sector and he would like the city to create a task force to review this as an option available to the city. In regard to the low city voter turnout, Alan said he had long been a proponent to move the city election to coincide with the presidential election. The change would save the city up to $120,000 and also put the polling locations back in the schools where voters are familiar with going to on Election Day. He added nonpartisan elections did not improve voter turnout. Alan also defended his support of the city purchasing the Hargett farm for use as a park, pointing out Baker Park was not built overnight and this was a long term project for the benefit of residents. The latest grandstanding move by Frederick Board of County Commissioners (BoCC) president Blaine Young (R) to proceed in a reckless manner in the sale of the Citizens Care and Rehabilitation Center and Montevue Assisted Care facilities has been met with a now familiar answer from the Maryland Board of Public Works (BPW). Young, who is intent on selling the facilities, is obviously frustrated with the delay in approval by BPW. He recently sent a letter with rational for proceeding with the sale to BPW enclosed with a $200.000 check, which he argued satisfied the county obligations. BPW Executive Secretary Sheila McDonald has returned the check and reiterated what had transpired at the previous BPW meeting on the matter. The Board of Public Works action to defer its review of your request "until litigation is resolved" means the Board has not authorized transfer of the grant-funded property nor has it determined whether (or how much) repayment might be required. Both of these contractual conditions must be satisfied before this Office may accept your tender." The entire letter may be read here. It is only common sense for the Frederick BoCC to wait to transfer the facilities until litigation has been resolved. In the meantime, allowing the contract purchaser to run the facilities, makes little sense and is not a wise safeguard of taxpayer funds. The Board of Trustees should be reinstated and management of the facilities conducted by someone/entity not connected to the contract purchaser until such time the disposition of the facilities is determined. 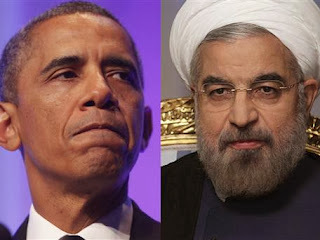 Eyes on Obama, Rouhani at U.N. Meeting - It would be the handshake watched around the world. President Barack Obama and his Iranian counterpart, Hassan Rouhani, will be at the United Nations together on Tuesday — their speeches to the General Assembly book-ending a luncheon for heads of state. If both attend the luncheon — reports that Rouhani may skip circulated Monday night — they may break bread in the same room. But any gesture beyond that would be historic for two countries whose leaders have not met in three decades. "It would be unprecedented for the Iranian president to even shake hands with the U.S. president and vice versa," said Hooman Majd, an Iranian-American author and commentator. NBC News has more here. Reid Moves To Remove House Language to Defund Obamacare - The Senate’s Democratic majority leader, Harry Reid, delivered a broadside this week to advocates of the House plan to tie future government financing to the gutting of President Obama’s health care law, starting the clock on a showdown that could be decided on the eve of the potential government shutdown next Tuesday. Facing opposition from the Senate’s most conservative hard-liners, Mr. Reid has set up a series of procedural tallies, starting on Wednesday, that should culminate on Sunday in votes to remove language from the House spending bill that would strip funding from the Affordable Care Act and then to pass a spending measure to keep the government operating through mid-December. It would be up to House Republican leaders to accept that Senate bill or precipitate a shutdown. The NY Times has more here. 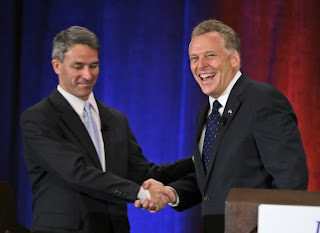 McAuliffe Leads in Virginia Governor's Race - Democrat Terry McAuliffe has vaulted into the lead over Attorney General Ken Cuccinelli II in a Virginia governor’s race that has left many voters sour on both candidates, according to a new Washington Post-Abt SRBI poll. McAuliffe leads 47 percent to 39 percent among likely voters, with Libertarian candidate Robert Sarvis’s 10 percent suggesting an unrest among voters not satisfied with either major-party contender. In a one-on-one matchup without Sarvis in the mix, the poll shows a narrower, 49-to-44-percent race between McAuliffe and Cuccinelli among likely voters — but still flips Cuccinelli’s 10-point lead from this spring. The Washington Post has more here. Militants Remain in Kenyan Mall - Somalia's al Shabaab Islamist group said on Tuesday its militants were still holed up in a Kenyan shopping mall they attacked at the weekend and there were "countless dead bodies", raising fears the death toll could be higher than 62. Kenyan security forces were searching for the al Qaeda-linked attackers who are believed by Western sources to include Americans and possibly a British woman who may be the widow of a suicide bomber who took part in an attack in London in 2005. Al Shabaab rejected suggestions that foreigners were involved. Sporadic bursts of gunfire and an explosion marked the fourth day since the militants stormed into the Westgate center in Nairobi during a busy Saturday lunchtime, spraying bullets and lobbing grenades. Reuters.com has more here. 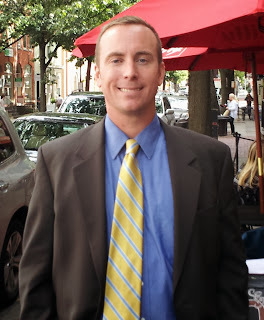 After, winning the Republican alderman primary in The City of Frederick election, Phil Dacey, enters the general election when Democrats, Unaffiliated, and all registered voters will weigh in on November 5. The road ahead will not be easy, with low voter turnout and a Democratic voter registration advantage in the city. Interestingly, Phil’s first place finish in the Republican primary only netted him 15 more votes than John Daniels who was the fifth place finisher among Democratic candidates. In a lengthy interview, Phil shared with me some of his thoughts on city issues and a little on his family and background. A local, he grew up in the Yellow Springs area and graduated from Governor Thomas Johnson High School. He and his wife Alicia have two girls aged 2 and 4. 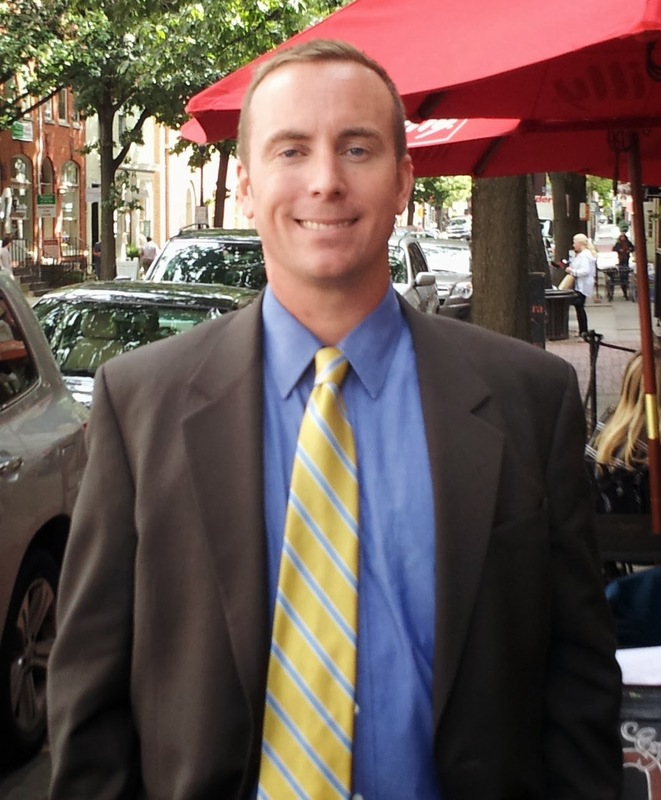 Phil, a lawyer, is director of external affairs for the Maryland Motor Vehicle Administration and his wife owns a marriage counseling business in Frederick. 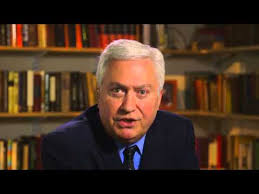 He made a point to tell me his wife is a registered Democrat, adding in addition to working through all the political issues with his wife over the years, his experience in mediation would both be useful skills to have while serving on a five member board of alderman. Dacey shared with me he became a Republican because he believed they were the party with better ideas and was influenced by former Congressman Newt Gingrich’s 1994 “Contract with America” that promoted welfare reform and a balance budget. An interest in politics runs in the Dacey family with his brother Ted who worked with former state sentator Alex Mooney's congressional exploratory committee and then served as campaign manager for Republican sixth district Representative Roscoe Bartlett in the 2012 campaign won by Democrat John Delaney. Phil informed me he also previously worked as chief of staff to Maryland state senator Nancy Jacobs (Harford and Cecil counties), who, for a time, served as senate minority leader. A proud Republican, Phil did tell me he was an advocate for nonpartisan election in the city because he didn’t believe in party labels at the local level. Although, he acknowledged nonpartisan elections would not result in an increase in voter turnout. However, he did not support a change in the election year to coincide with state or presidential elections, fearing moderates would not be heard. When I asked him about the recent Western Maryland secession talk, he told me that was just silly. Phil told me he was particularly concerned with the impact of growth on the city which he has seen double in size in his lifetime. He wants the city to focus on infrastructure and believes Monocacy Blvd. needs to be funded and completed. Redevelopment in downtown and infill policies are also priorities for Dacey, who wants to review the land management code to promote economic development. Crime downtown in the proximity of the Carroll Creek project is another concern he shared with me. He has noticed businesses leaving the Carroll Creek project and he feared this was a result of their failure to get the foot traffic needed due to the vagrant issue and crime. Dacey added he believed there was need for a full time homeless shelter and felt the city should provide funding for this. He pointed to what he believes is an inappropriate amount of public subsidy for a city owned golf course and said he would rather the city fund a homeless shelter than a golf course. If elected, Phil hopes the city can have a conversation on this issue. 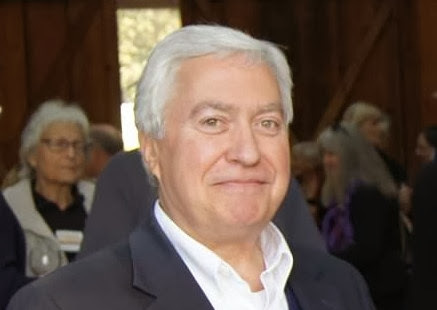 Phil Dacey also shared with me he served on the Frederick County Ethics Commission for one year before resigning to run for office, and in addition, served four years on the City zoning appeals board. City voters will elect their mayor and five member board of alderman on November 5. Presently, contributions to city aldermen candidates are limited to $1,000 per person/entity and $2,500 per person/entity for mayoral candidates. I reported the day the first candidate campaign finance reports were filed, a loophole in the law had been used to get around these limits reflected in the reports filed by the Karen Young and Galen Clagett campaigns for mayor. $20,000 had been funneled into Democratic Maryland state delegate Galen Clagett’s mayoral campaign via multiple entities associated with local developer Marvin Ausherman. Another $10,000 was received via entities associated with Pleasants construction, another local developer. The $30,000 in contributions was half of what the Clagett campaign received in the first report. Democratic alderman Karen Young, who won the Democratic primary for mayor, received $7,500 from three entities associated with local businessman John Fitzgerald. There did not appear to be any illegal contributions. Yet, the potential influence on an elected official by one who has arranged for a large donation to a campaign, is unsettling to voters, who already feel their voices are lost to big business, corporations and well organized interest groups. I sent all the candidates links to the columns written on this issue and asked them if they would follow the spirit of the law. The mayoral candidates were asked “to pledge to the best of their knowledge, to not accept more than $2,500 from any one person or entities associated with any one person, from this point on in the campaign”. I received responses from all of the candidates with the overwhelming majority of them agreeing to abide by the “intent /spirit of the law”. Their responses follow below. Jennifer Dougherty, unaffiliated candidate for mayor said "I will take the pledge, no problem". Democratic mayoral candidate Karen Young responded in an email to me "Yes". Republican mayor Randy McClement said “I have never asked for bundled contributions. I will continue, as I always have, to follow all City campaign finance disclosure laws and disclose all contributions and donors”. Alderman Michael O'Connor (D) stated "he will comply with both the intent and letter of the law". Democratic alderman candidate John Daniels responded in an email to me: "George, I have every intention of honoring the intent of the law and have not and will not accept contributions that may be questionable. Please consider this my pledge." Democratic alderman candidate Donna Kuzemchak responded with "Yes, I commit to complying with both the letter and spirit of the law, as I have always done so." Alderman Kelly Russell (D) responded with "Yes." Democratic alderman candidate Josh Bokee responded with "Yes". Republican alderman candidate Alan Imhoff emailed me saying "I have no problem with adhering to the spirit of the “contribution limit intent of the law”. Republican alderman candidate Dan Cowell responded with "I will honor the law as written. I will not work the loophole accepting more than $1000 from any individual, family, and/or business." Republican alderman Dave Schmidt responded with "I think the contribution limits are important to prevent anyone from having undue influence on candidates. I pledge that looking forward in this election, I won't accept any contributions from LLC's owned by anyone who has already reached their $1000 limit to my campaign." Republican alderman candidate Katie Nash’s initially responded with "You're asking me to pledge to follow the law - yes. I'm not being facetious when I ask if you believe I have somehow not followed this law? (If so I want to return the money)." I responded to her with "I would suggest you read the article and the numerous one that preceded it to more fully understand the question. The issue is that the law does not appear to have been broken in regard to exceeded the limits. 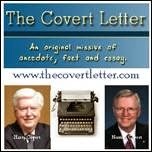 However there are loopholes that allow contributions to exceed the "intent" of the law." I added in an email saying, in part, "To follow up with you, I have not suggested any city candidate broke the law." To which she followed with a long response that can be read here. It is encouraging, that clearly an overwhelming number of candidates have agreed to honor the “intent/spirit of the law” for the remainder of the campaign. What needs to happen next is for the new mayor and board to move quickly, following being sworn into office, to appoint a committee to review the existing campaign contribution law. This committee should be charged with making recommendations on revisions to current law to eliminate these existing loopholes. After, receiving public input, a vote at a mayor and board meeting should be taken to amend the candidate contribution guidelines. 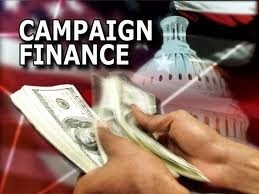 The next candidate campaign finance reports are due October 7. President Obama said conservative Republicans are willing to send America into a recession to stop ObamaCare as Washington is locked in another budget crisis. “A faction on the far right of the Republican party who’ve convinced their leadership to threaten a government shutdown if they can’t shut off the Affordable Care Act. 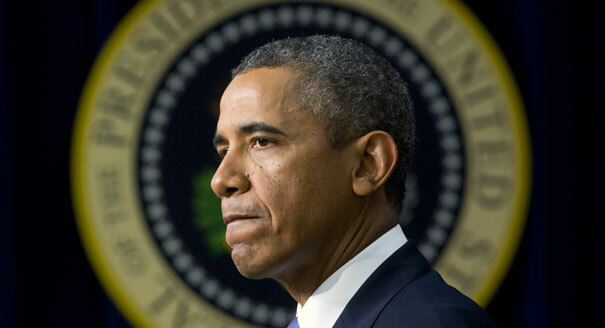 Some are actually willing to plunge America into default if they can’t defund the Affordable Care Act,” Obama said. Amid threats of another federal government shutdown, Nevada Gov. Brian Sandoval (R) on Saturday touted Republican solutions while urging both sides of Congress to work together. 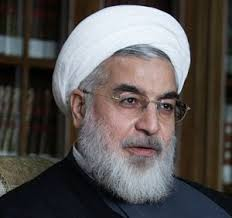 Iran President Rouhani Pens Op-Ed in Washington Post - Three months ago, my platform of “prudence and hope” gained a broad, popular mandate. Iranians embraced my approach to domestic and international affairs because they saw it as long overdue. I’m committed to fulfilling my promises to my people, including my pledge to engage in constructive interaction with the world. The international community faces many challenges in this new world — terrorism, extremism, foreign military interference, drug trafficking, cybercrime and cultural encroachment — all within a framework that has emphasized hard power and the use of brute force. The Washington Post has more here. Diplomatic Options Open Up With Iran and Syria - Only two weeks after Washington and the nation were debating a unilateral military strike on Syria that was also intended as a forceful warning to Iran about its nuclear program, President Obama finds himself at the opening stages of two unexpected diplomatic initiatives with America’s biggest adversaries in the Middle East, each fraught with opportunity and danger. Without much warning, diplomacy is suddenly alive again after a decade of debilitating war in the region. After years of increasing tension with Iran, there is talk of finding a way for it to maintain a face-saving capacity to produce a very limited amount of nuclear fuel while allaying fears in the United States and Israel that it could race for a bomb. The NY Times has more here. The Latest on Government Shutdown and Debt Limit Deadlines - The stock market may be posting record gains, but Washington could be mere days away from a government shutdown – and a few weeks out from a catastrophic default on the national debt. But the reality of this looming fiscal crisis has many Americans wondering how we ever got ourselves into this mess. And, more importantly, what Congress can do over the coming days to avoid it. We take a look at some of the questions that lawmakers dealing with – and the possible answers. What do Congress and the president need to do to meet these deadlines? First, Congress must pass a spending bill, called a continuing resolution or “CR,” which would continue spending after Sept. 30, the end of the 2013 fiscal year. NBC.com has more here. Obama to Tour Ford Plant in Missouri Today - President Barack Obama on Friday will travel to Missouri where he will tour a Ford plant, the White House said. Obama is scheduled to deliver remarks at the Ford Kansas City Stamping Plant in Liberty, Mo., along with touring the facility and meeting with employees. The White House said Obama "will continue to highlight the progress we have made since the beginning of the financial crisis five years ago." He is expected to deliver remarks at 12:50 p.m. CT. TPM.com has more here. EPA To Tackle Coal Fired Emissions - The Obama administration is about to take a major step forward on climate change — a crucial piece of a long-term strategy to join other countries in tackling the Earth’s environmental woes, but one sure to fuel a furious GOP counterattack in 2014. The proposed rule, expected Friday from the Environmental Protection Agency, won’t cut any carbon immediately and won’t come anywhere near the sweeping mandate of the cap-and-trade plan that died in the Senate three years ago. 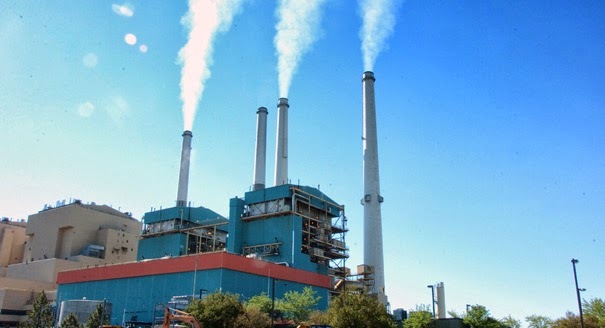 But it will force the first-ever limits on greenhouse gas pollution from yet-to-be-built power plants, requiring costly carbon-cutting technology for those that burn coal. The White House-vetted proposal is also the legal precursor to a far more ambitious draft regulation due next year that would seek cuts to climate-changing emissions at existing power plants. Politico.com has more here. 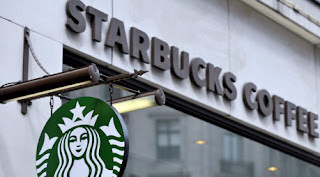 Starbucks: Please Keep Guns Out of Our Stores - In an open letter Tuesday, Starbucks CEO Howard Schultz asked customers to "no longer bring firearms" into the chain's stores or outdoor seating areas. Schultz wrote that it had been the company's policy to follow local laws. In states with so-called "open carry" laws, customers were permitted to bring firearms into stores. But that policy inadvertently thrust Starbucks into the debate over "open carry" and recent events have prompted the company to shift course. Pro-gun advocates staged a "Starbucks Appreciation Day" last month to commend the company for its position on "open carry." Schultz wrote that those advocates "disingenuously" portrayed the company as a "champion of 'open carry.'" "To be clear: we do not want these events in our stores," Schultz wrote. "Some anti-gun activists have also played a role in ratcheting up the rhetoric and friction, including soliciting and confronting our customers and partners. For these reasons, today we are respectfully requesting that customers no longer bring firearms into our stores or outdoor seating areas—even in states where “open carry” is permitted—unless they are authorized law enforcement personnel." Schultz clarified that he is not imposing an "outright ban," saying that he wants to "give responsible gun owners the chance to respect our request." He also said that enforcing such a ban "would potentially require our partners to confront armed customers." TPM.com has more here. Obama To Ask Business for Help in Avoiding Government Shutdown - President Obama on Wednesday will seek to enlist the business community’s help as he tries to pressure Republicans in Congress to vote to keep the government open and raise the federal debt ceiling, even as the odds of a confrontation that could harm the economy rise. In a meeting with the Business Roundtable, a trade group representing America’s big businesses, Obama will warn executives that another fight over government spending and the debt limit could harm businesses and consumers, a White House official said in a statement previewing the speech. “The President will ask the business community to help send the message to Congress that a default would be disastrous for our economy and for businesses across the country,” the official said. “Many reasonable Republicans have said it would be reckless and irresponsible to use the threat of default as a bargaining chip, but some of the extreme members of the Republican Party continue to threaten the full faith and credit of the United States government.” The Washington Post has more here. House Conservatives Propose Obamacare Replacement Bill - Conservatives representing nearly three-quarters of the House Republican conference on Wednesday unveiled their proposed replacement for President Obama’s healthcare law, delivering on a long-delayed GOP promise. Authors of the proposal said they would push for a vote on the House floor, although they acknowledged the bill stands no chance of passage with Obama in the White House and Democrats controlling the Senate. TheHill.com has more here. Wendy Davis To Announce Plans Oct. 3 - Texas State Sen. Wendy Davis will announce her future plans — which could include a gubernatorial run — early next month, she said in an email to supporters Tuesday. Davis catapulted into the national spotlight this summer after leading a lengthy filibuster in Austin that temporarily derailed a restrictive Texas abortion bill. She is considered the top Democratic option for taking on Republican Texas Attorney General Greg Abbott in next year’s governor’s race. Politico.com has more here. Gun Control Talk Resumes - President Barack Obama on Monday stepped onto a podium and lamented the deaths of a senseless mass shooting — just as he did after Aurora, Colo., and Newtown, Conn. This time, his remarks came as office workers scrambled for cover and police searched for suspects at the Washington Navy Yard, just a few miles from the White House. Obama again hinted at his view that Congress must act to to help prevent future massacres, but offered no specifics and stopped short of promising a new White House campaign on that front. We are confronting yet another mass shooting — and today, it happened on a military installation in our nation’s capital,” the president said, as he pressed forward with a speech on the five-year anniversary of the economic crisis. “Obviously, we’re going to be investigating thoroughly what happened, as we do so many of these shootings, sadly, that have happened, and do everything that we can to try to prevent them.” Politico.com has more here. Two Weeks To Avoid Government Shutdown - Two weeks away from a shutdown, there is no endgame in sight for Congress to continue funding the government and stop many federal services from grinding to a halt. The two parties aren’t negotiating; they’re sniping at each other. And the fissure between them appears wider than ever. Congress has five working days left to avert a shutdown unless it cancels the scheduled recess next week. Budget talks between the White House and Senate Republicans have collapsed. House Republicans are in disarray and last week put off consideration of their continuing resolution to fund the government. Many House Republicans remain intent on threatening a shutdown to defund Obamacare, which is off the table for Democrats. And the two parties disagree on how much the federal government ought to spend when the new fiscal year begins Oct. 1 — specifically, whether to maintain sequestration levels. TPM.com has more here. McAuliffe Leads Cuccinelli in Cash-On-Hand - The race for money in the Virginia governor’s campaign again went to Terry McAuliffe, with the former head of the Democratic Party raking in nearly $7.36 million in July and August, according to reports released by his campaign and a nonprofit group that tracks campaign contributions. His Republican rival, Virginia Attorney General Ken Cuccinelli II, raised about $5.69 million, according to an analysis of campaign donations released Monday by the nonpartisan Virginia Public Access Project. As the candidates head into the final stretch, McAuliffe has more than $5 million in cash on hand, while Cuccinelli has about $2.24 million. McAuliffe — who as a former Democratic National Committee chairman has raised hundreds of millions of dollars for party causes as well as for Bill and Hillary Rodham Clinton — has consistently beaten Cuccinelli on the financial front since entering the race. The Washington Post has more here. Summers Withdrawl Makes Yellen Favorite to be Next Federal Reserve Chair - Janet L. Yellen told friends in recent weeks that she did not expect to be nominated as the next chairman of the Federal Reserve. Although she had been the Fed’s vice chairman since 2010 and would make history as the first woman to hold the job, President Obama’s aides made clear throughout the summer that he wanted Lawrence H. Summers, his former chief economic adviser. Now, awkwardly, it appears that the president may have to circle back to Ms. Yellen after Mr. Summers withdrew from consideration on Sunday, bowing to the determined opposition of at least five Senate Democrats. 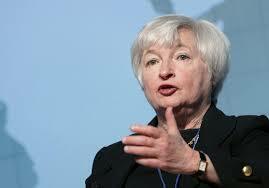 On Monday, Ms. Yellen became the front-runner by elimination, officials close to the White House said. The NY Times has more here. Democrats Frustrated With Lack of Movement By House on Immigration Reform -Democrats’ patience on immigration reform is wearing thin. Reform proponents are growing anxious nearly three months after the Senate cleared a bipartisan measure. 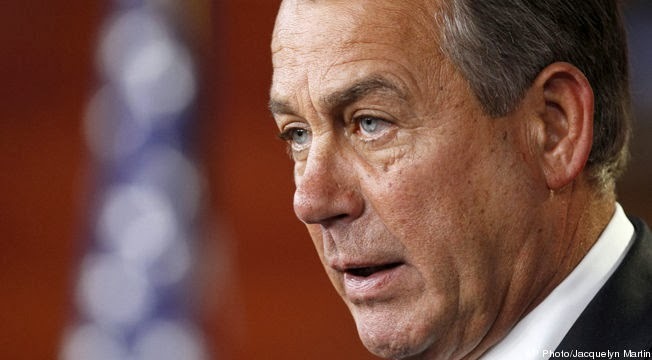 While the House Judiciary Committee has passed narrow and largely non-controversial bills, it remains to be seen if Boehner will seek a floor vote on any of them. Furthermore, Democrats note, there has been almost no discussion in the House of addressing the nation’s 11 million illegal residents. TheHill.com has more here.